The homesteaders experienced constant conflict with the Rock Springs Land & Cattle Company. The company considered Lanfair Valley to be some of the best part of its range, and resented the "intrusion" of settlement. The company denied water to the settlers, forcing them to use the few public springs or dig expensive wells. Cattle trampled carefully nurtured crops, sometimes allegedly after the cowboys cut the nesters' fences. In return, the farmers would occasionally help themselves to beef. The cattle company brought in hired thugs, and rumors swirled claiming some homesteaders' cabins burned to ashes under mysterious circumstances. The homesteading experience failed largely because of environmental and economic factors, but it left a legacy of land in private ownership inside park boundaries. Additionally, evidence of the activities of the homesteaders can still be seen. 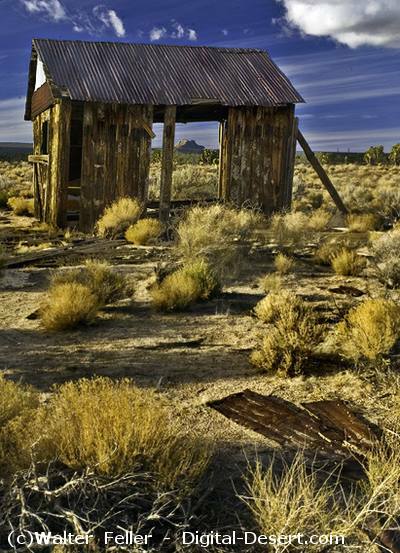 Required by law to clear and plant a certain portion of their land, the erstwhile farmers pulled up Joshua trees and creosote and turned over the earth. The large vegetation has not grown back, and the square, open fields are conspicuous in the midst of the dense Lanfair Valley Joshua tree forest.